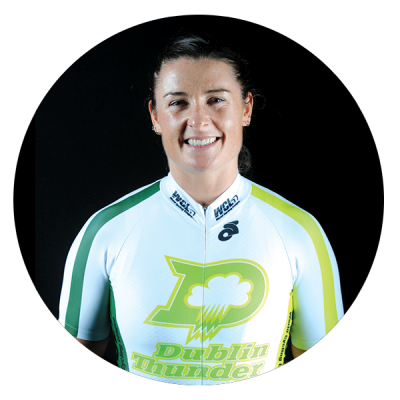 Now 31-years-old and having taken up cycling just over a year ago, Eimear Moran shocked Irish cycling when she took four individual gold medals at the Irish National Track Championship in her first attempt last year! Along the way she set a new Irish 200 meter sprint record and showed amazing versatility by also winning the 10 kilometer scratch race title. No wonder. This amazing athlete developed her engine through a career in international rowing that included eight national rowing titles by the time she was 17 and top international performances in single skulls and fours at Henley, multiple World Cups, the European Championships and the World University Championships through a ten year career. One of the few sprinters who has the power to dominate endurance events as well as short sprints.